Over the last few years, Brisbane Removals and Storage have alone established themselves as one of the best furniture removalists in Brisbane. 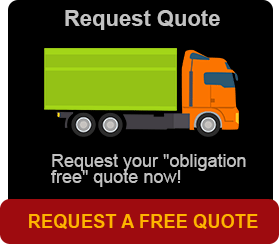 We will always give you the best furniture removalist’s quotes. Relocating is not an easy process. Our Brisbane removalists are aware about the steps involving moving right from the basic packing and relocating your treasured possessions and items of value and safely removing it from one address to another. In fact, it takes some planning. The method of coordinating and preparing the way before carrying out the initial removal is very important. There are numerous steps involved in the relocation process. The way to get the best furniture removalists quotes is to get on the net and search for removalists that have testimonials and reviews and that in its self will guarantee quality removalists and the best furniture removalist’s quotes in Brisbane. When you are moving and relocating your household goods, furniture or maybe your office fixtures, you will need experienced removalists in Brisbane. If you have a budget set, keep to it as much as possible but be aware cheap removalists are not the answer. Brisbane Removals and Storage will give you the best furniture removalist’s quotes whether it is on the North or the South side of Brisbane. 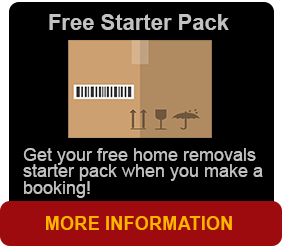 We are Brisbane Removals and Storage your removalists in the Brisbane area. Our quality relocations always on time services and with our affordable prices, Brisbane Removals and Storage have established our company as the professional removalists in Brisbane. If you have a tremendous amount of furniture that has to be moved to the destination of your choice, then it is good to employ the best. We are the best furniture removalists in Brisbane. Our furniture removals and storage services covers your home and office removals. As the best removalists in Brisbane and surrounds, we have a lot of interstate long distance removals. We have storage facilities, and we can we organise that for you also. Our professional furniture removalists in Brisbane are well equipped and experienced to make sure your furniture stays clean and in good order all the way through the relocation process and arrives at your new address intact. Our removalists at Brisbane Removals and Storage are aware that relocating is not the same in every move. We like to ensure we know your job and most times we will quote your removals at your home.Brisbane Removals and Storage also operates a modern fleet of trucks to assist in the moving process. Our removalists in Brisbane have all the knowledge and capabilities to undertake any removal anywhere. Looking for a quote in Brisbane, then contact us and we will give you a free no obligation quote on the spot. For the quality removalist service in Brisbane which is dedicated and specialised furniture movers, you can be assured that Brisbane Removals and Storage, the established Brisbane movers will see you through.Looking for affordable, furniture removals in your area, then it’s time to call us and speak to any of administration staff in Brisbane. The removal specialists at Brisbane removals and storage are extremely experienced, and capable to handle any type of relocation. As we are the champions in removalist companies in Brisbane, we are competent, well trained and experienced to offer a moving or relocating service of any size. BRS removalists in Brisbane use quality packing materials. When it comes to packing and unpacking, packaging techniques and carefully categorize all the effects we make sure that it is done with care and done properly. We also make sure that we heed to packing different household or office goods accordingly with different materials to avoid rubbing and scratching. The removalists at Brisbane Removals and Storage have acquired all the relevant licenses and certifications making them qualified to handle many types of moving and relocating. Even though we are known as affordable removalists in Brisbane, there’s no compromise for quality of our work that we offer on a daily basis to many customers. Brisbane Removals and Storage are a well known furniture removalist company in Brisbane, and we offer cheap yet affordable removals services state wide. As part of our removal services, we offer professional administration staff and experienced loaders for residential homes, factory moves, shop and commercial sectors and we also can store your goods and equipment in our storage facilities. Call us now at Brisbane Removals and Storage to book a move!